CHRIS GRABENSTEIN is the co-author (with James Patterson) of the #1 New York Times Bestseller I FUNNY. Winner of one Anthony and three Agatha Awards for his spooky and funny Haunted Mystery series, Chris has written over twenty books, a stage play, scripts for Jim Henson's Muppets, and the CBS-TV movie The Christmas Gift, starring John Denver. A former advertising executive and improvisational comedian, he lives in New York City with his wife, three cats, and a rescue dog named Fred who starred on Broadway in Chitty Chitty Bang Bang. Librarians and English teachers will happily recommend this adventurous romp from Grabenstein (the Riley Mack books), which pays playful homage to books and libraries while engaging readers in a fast-paced competition involving research and reasoning skills. 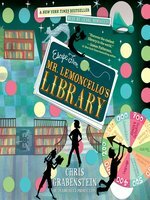 Twelve seventh-graders win a chance to spend an overnight lock-in previewing their town’s new public library—it’s a marvel of technological delights conceived by Luigi Lemoncello, the Willy Wonkalike founder of Mr. Lemoncello’s Imagination Factory, which is a source for every kind of game imaginable. During the lock-in the winners, who include game-lover Kyle Keeley and a group of multicultural classmates with a mix of aptitudes and interests, are offered a further challenge: “Find your way out of the library using only what’s in the library.” The winner will become spokesperson for the Imag-ination Factory. Book lovers will relish the lavish sprinkling of book titles and references while puzzle fans will enjoy figuring out the clues. 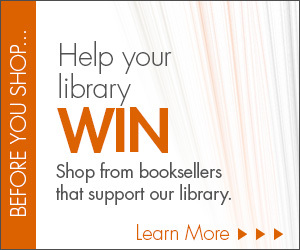 A lighthearted parody of reality survival shows, the book reinvigorates the debate over the Dewey Decimal system and traditional library skills while celebrating teamwork, perseverance, and clever wits. 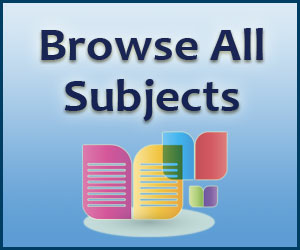 Ages 9–12. Agent: Eric Myers, the Spieler Agency. 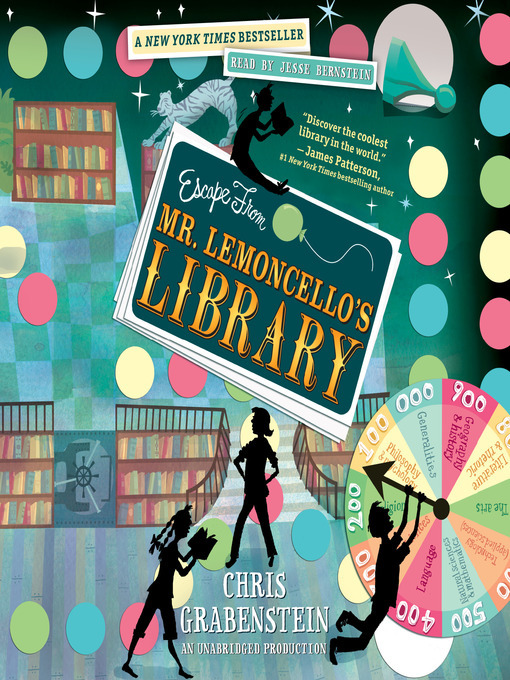 James Patterson, #1 New York Times bestselling author "Pick up Escape from Mr. Lemoncello's Library for your kids to discover the coolest library in the world." Julie Forbus, Madison Public Library "Escape From Mr. Lemoncello's Library...is fantastic. It is one of the best books I've read, ever, and that is saying something because I am a librarian. The game, gaining understanding of the Dewey Decimal System, all the name dropping, or should I say, title dropping of so many other great books that will encourage the kids to read more, and more and more . . . it all works. I will recommend it to children and adults alike. It is that good."